Bassline ideas for 15 gypsy jazz standards. This followup to Gypsy jazz upright bass, Vol. 1 focuses on developing core gypsy-jazz repertoire for upright bass. Are you new to gypsy jazz bass playing and need guidance on what basslines to play? Or perhaps you’re experienced but feel like you always play the same thing, and you want some inspiring new ideas? This is the course for you. It consists of 15 performances, featuring only bass and rhythm guitar — no soloist. For each tune, Arnoud spends a chorus or two on different bass styles, including the “two feel,” basic walking bass and advanced walking bass. The full list of tunes is below. It represents a variety of styles and tempos within gypsy jazz — medium swing, fast swing, ballads and bossas. To learn from this course most effectively, treat these basslines as etudes. Learn them and play along, then extract your favorite ideas for use in gigs or jams. The idea is to give you plenty of bassline ideas and inspire you! Each tune has a video of Arnoud’s full bass performance, plus an audio-only version with rhythm guitar mixed loudly (so you can play along with it). Toggle between them by clicking on “Video” at the bottom of each lesson. Enjoy this course, and best wishes with your bass playing! 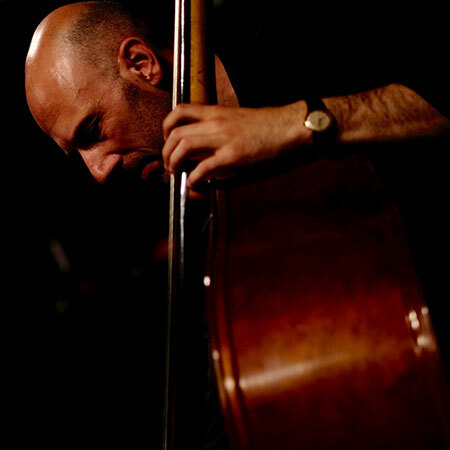 Arnoud van den Berg is an experienced bass player in the international gypsy-jazz scene. He’s been a member of the Robin Nolan Trio since 2007 and accompanied the great Jimmy Rosenberg for several years. He also tours and records with Mozes Rosenberg and Paulus Schäfer. Originally inspired by Paul McCartney, Arnoud started with blues and rock on electric bass before switching to the upright. He began playing gypsy jazz around the turn of the century and has played with many of the modern Dutch greats. He lives in Amsterdam.